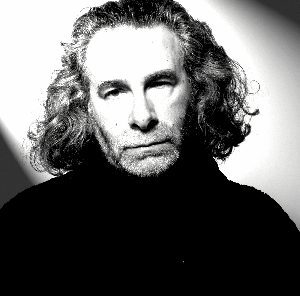 “I’m not really a drummer,” asserts Kevin Godley laughing. “I’m a creative person who plays drums… occasionally.” But the innovative former 10cc sticksman’s enthusiasm at playing drums again after a lengthy lay-off is clearly evident. Linking up with his former schoolfriend and erstwhile Mockingbirds and 10cc cohort, Graham Gouldman, in gg06, Godley got behind a kit to record for the first time since Godley and Crème’s final studio offering, 1988’s Goodbye Blue Sky. Not really a drummer? 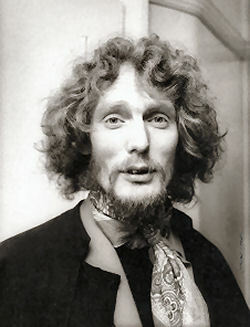 Yes, he’s a lead singer – with one of the most underrated voices in rock history; yes, he’s a songwriter par excellence; yes, he’s a videographer extraordinaire. 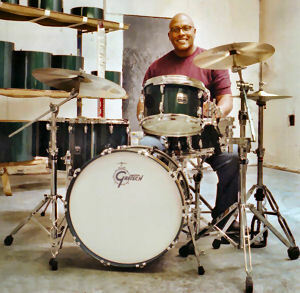 But above all Godley is a musician, eager to experiment, searching for sounds and rhythms that fit his song to a ‘t’. And a drummer? You bet your life. He excelled in underplaying, like an actor at the height of his abilities. There was no flashy bashing and crashing. Godley’s seemingly simplistic playing was carefully considered, a perfect complement for every track. 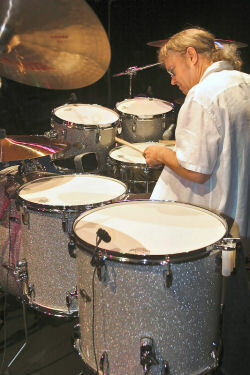 The 10cc Mark 1 canon saw Godley at his the top of his powers behind the kit. Lest we forget, 10cc never played simple songs. The hard-rocking Silly Love abruptly breaks into a bolero-style middle eight; Life Is A Minestrone incorporates subtle changes in feel; there’s sublime bass pedal playing on the ballad I’m Mandy Fly Me, while Godley’s percussive nous permeates album tracks like the epic Une Nuit In Paris. “I would consider what sound would be best for which song. Would I need a full kit, woodblocks or just a tom, or no drums at all? I’d written half the stuff we’d been doing but I never sat around thinking how to shoehorn standout fills into the mix. “The material should always dictate how it is recorded, how it is played. It was always about the song, not about me. ”It was also about searching for a way in, trying to help everything to gel. The search opens doors. 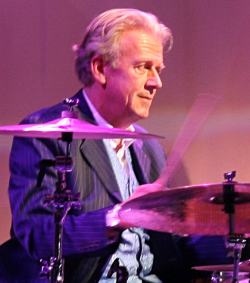 It can be a simple triangle that brings the track to life.” And with Paul Burgess – who enjoyed a long career with 10cc and still plays with Gouldman in “10cc Featuring Graham Gouldman And Friends” – brought in for the live shows to allow Godley greater flexibility to stand out front and sing, Godley proved he could play, mixing it up and bashing out grooves aplenty with Burgess as a tight-knit unit. A succession of local Manchester bands followed – “We used to play ice rinks, weddings and dances.” – yet slowly but surely the creative partnership between Godley and multi-instrumentalist Lol Crème was being forged. Godley suggests their art college background led them to challenge musical art, to strive for new sounds and new approaches. “He would drive down in a van from Birmingham to Stoke-on-Trent, where I was at Art College, with a Hammond organ in the back. We would play loud, weird jazz all night. Annoy the neighbours. At around this time, Eric Stewart and Gouldman, who had joined Stewart in The Mindbenders, invested in Strawberry Studios in Stockport. Godley and Crème were on hand to help, spending hours and hours there. “Strawberry was just beginning,” recalls Godley. “They had just bought a four-track tape machine which was the epitome of hi-tec, even though the tape was the size of a bog roll. “We would play to test the equipment”. It was great fun and led to a surprise hit single for Godley, Crème and Stewart. Neanderthal Man by the trio in the guise of Hotlegs was a UK number two, while it reached 22 on the other side of the Atlantic. There were hit songs with no hint of drums on them, such as Under Your Thumb, simple bass drum driven melodies like Cry and then faux-Motown beats on Wedding Bells. 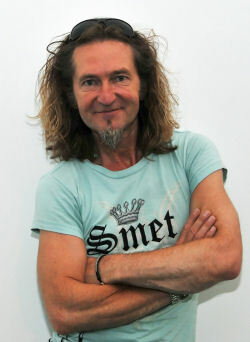 The album Goodbye Blue Sky was a “drum heavy album”, says Godley, a return to form behind the kit. And then the music – as far as Godley and Crème went – stopped. 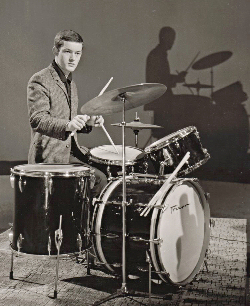 Their dual career as videographers (they were responsible for Visage’s Fade To Grey, The Police – Every Breath You Take, Duran Duran – A View To A Kill, Peter Gabriel and Kate Bush’s tour de force, Don’t Give Up and The Beatles’ Real Love) allowed the reluctant drummer a chance to keep his hand (and feet) in. “Sometimes on a shoot before a band came on set I’d sit down and play on the kit, until I got caught,” he grins. “I guess the reason why I didn’t play drums on a lot of late era Godley and Crème stuff was because we recorded at Lol’s house. You use what you’ve got and we didn’t have room for a kit. You have an image in your mind’s ear and for a while we used machines to realise it.” Needs must. The opposite was the case for Une Nuit In Paris (Part 1), The Same Night In Paris (Part 2) and Later The Same Night In Paris (Part 3), the opener to The Original Soundtrack – which, musical legend has it, provided the perfect inspiration for Queen to attempt a similar fusion of seemingly mismatched styles and rhythms in Bohemian Rhapsody – and a Godley and Crème masterpiece. Aside from fantastically funny lyrics, there’s bongos, hi-hat work and thudding drums to just vocals and piano. Knowing when to play and when not to has been a strength of Godley’s through his career.